The EOS 1DX Mark II is Canon’s latest top-of-the-line full-frame professional-level DSLR. It features a 20.2 million pixel sensor, which is an upgrade from the 18 million pixel sensor that the 1DX had. Canon says that the 1DX Mark II is not just a replacement for the 1DX, but also for the 1DC, the company’s high-end video-centric camera. As such, one of the big new features of the 1DX II is the ability to record 4K video at 4096 x 2160 pixels, for 29 minutes and 59 seconds. The other major improvement, which should be of interest to sports photographers is that the Canon EOS 1D X Mark II is compatible with CFast memory cards (as well as CF cards). This facilitates a frame rate shooting speed of 14fps, or 16fps in Live View. Furthermore, the buffer can hold 170 frames before it starts to slow down. To put that into a little more context, that means that you can shoot for 10-12 seconds at a time in raw format - more than enough to cover the entirety of the 100 metre final at this year’s Olympics. Previously, this kind of buffer depth was only available when shooting in JPEG - the number of JPEGs you can shoot is limited only by the size of your memory card. Elsewhere, other improvements have been a little more incremental. The camera still has 61 autofocus points, but it now uses Ai Servo III to help when using tracking focus. The native sensitivity remains the same, but the expansion setting is now one-stop greater and can go all the way to ISO 409,600. Exposure should also be improved by the addition of a new 360,000 pixel RGB+ IR sensor with 216 metering zooms. This is also the first time that Canon has incorporated a dual-pixel CMOS sensor into one of its full-frame models - that helps with autofocusing when using Live View and video. The Canon EOS 1D X Mark II has a touchscreen, again the first full-frame Canon model to do so, but it can only be used to set autofocus point when in live view or video mode. The Canon EOS 1D X Mark II retails for £5199 / $5999 body only. Probably the main customer for a camera like this is going to be a professional photographer who already owns a 1DX and wants to upgrade to the latest model. For that reason, Canon hasn’t altered the EOS 1D X Mark II body too much, upgrading a few key ergonomics but keeping the overall feeling very very similar. One such improvement is that the joysticks have slightly increased in size, which makes them easier to find and manoeuvre in certain conditions, such as when wearing gloves. 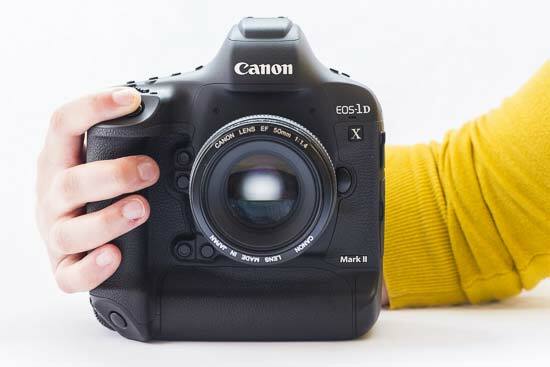 The Canon EOS 1D X Mark II is very large and heavy, so if you’re coming from one of the other full-frame cameras in Canon’s line-up, such as the 5D Mark III, it may take some time to get used to the bump in size and weight. However, the benefit of this design is that you get dual controls for using the camera in both portrait and landscape format. This means that there are two shutter release buttons, as well as duplicates for the AF-on button, AE-Lock button, control dial and AF button. There’s also two joy sticks which are placed in corresponding places so you can quickly switch between using either shutter release button. The build quality of the Canon EOS 1D X Mark II is also extremely high and the 1DX II is weatherproof - good news for news photographers who may find themselves shooting in the rain. The camera features a chunky hand grip which is moulded to fit your fingers comfortably. The camera also has a textured coating to add to the high quality feel. To change AF point, you need to use the joysticks. First you need to press the AF selection point button. When you press this button, you can also use the dial near the shutter release button to select a different selection mode. You can choose between Spot AF, one-point AF, Expand AF area, Expand AF area surround, Zone AF, Large Zone AF and Auto Selection AF. As there are 61 points to choose from, it can take a while to move from one side of the frame to the other - if you prefer, you can set the in main menu a restriction to only be able to choose from only cross-type AF points (41), 15 or 9 points. If you are shooting in Live View, you can use the touch sensitive screen of the 1DX to set the AF point, simply by tapping the area you need. This is very similar in operation to the Nikon D5, but strangely, you can’t use the touch sensitivity to carry out other operations. Most frustratingly, you can’t use it when playing back images, where it would be useful for checking critical focus quickly, or flicking between images - this is something you can do with the Nikon D5. Canon has improved the performance of tracking focus when compared with the original 1DX, helping to track quicker moving subjects than the previous model. If you have a 1DX you may not think it’s worth the upgrade if you are predominantly shooting static subjects, but if you are a sports photographer who shoots quick action sports, or perhaps a wildlife photographer who shoots more erratic subjects, you may be more convinced. The big improvement comes from the increase in the buffer size though - shooting continuously for so long in raw format simply wasn’t possible before. Many news photographers who shoot JPEG only may not be bothered by this increase, but for those who like to shoot in raw, it’s a key improvement. These buffer speeds are facilitated by the CFast card compatibility, with one of the two card slots accepting these cards. We were able to test the Canon EOS 1D X Mark II with a CFast card and it’s very, very quick to record and transfer data across. The other card slot accepts standard CF cards, which is good news for those who already have a huge stack of cards. The only problem here is that both the slots, and the cards, are identically sized and shaped, but you have to make sure you get the right card in the right slot, or it won’t work. This could be a little problematic for photographers in the field who are quickly changing cards. Now to talk about some of the other various buttons on the Canon EOS 1D X Mark II. As you might expect from a camera at this level, there’s a huge amount to choose from. On the top of the camera you’ll find direct access buttons for ISO, white balance, exposure compensation, exposure mode, drive and metering. You use these in conjunction with either the scrolling dial near the shutter release, or the scrolling wheel on the back of the camera. Or sometimes both. 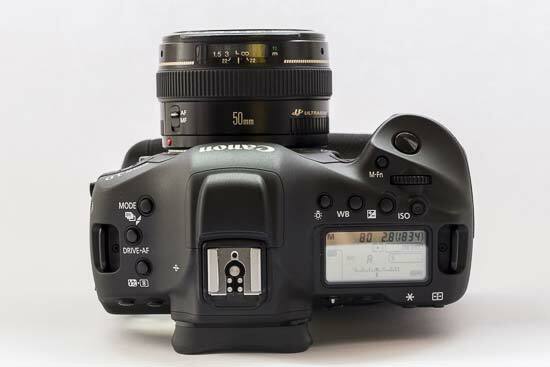 Of course if you are already using a 1DX, then you will be at home with the layout - and if you are using something like a 5D Mark III you should recognise most of the buttons and symbols and be able to make the transition fairly quickly and easily. Some of the 1DX Mark II’s buttons can be customised to a different shooting preference if you prefer. This includes some buttons on the front of the camera just next to the lens mount. Opening the Custom Controls in the main menu will show you on screen which buttons you are changing and give you the different options available - this allows you to set up the camera in the exact way that you like to use it. You can also customise the “Quick” menu - which is accessed by pressing a Q. You can add or remove settings depending on your preference, giving you swift access to the settings you need or want to change on a regular basis. 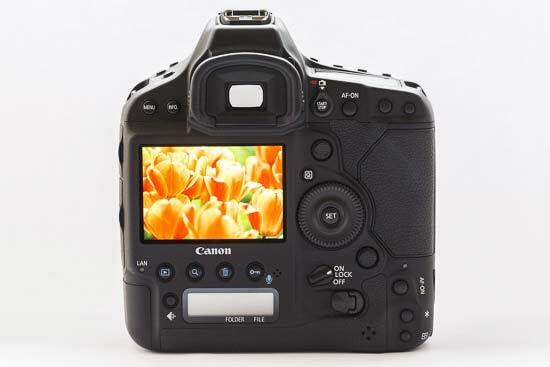 To move into the Canon EOS 1D X Mark II’s video recording mode, you need to push the switch near the viewfinder across to video recording. To change the recording quality, you can press the Q button and switch between the 4K options and the full HD options. It’s worth noting that if you’re shooting in 4K you will be limited to ISO 12800. Unlike the Nikon D5, you can shoot for a full 29 minutes and 59 seconds when using the Canon 1DX Mark II. This is down to a heat pipe which draws heat away from the camera’s sensor and facilitates such long recording times. You also of course have full manual control. That’s not to say that the video options here are perfect - it’s not possible to record 4K when outputting via the HDMI cable, so professional videographers may still be put off. If you record something in 4K, it’s possible to extract stills from the resulting video in camera. Playback the video and you’ll see an option called “Frame Grab”. This will allow you to save a 8.8 million pixel JPEG image from the video you have recorded. This has some useful applications for high frame rate recording of fast moving or unpredictable subjects - if you only need a relatively small (but still printable at A3) image, then it may be preferable to shoot in 4K and extract an image than to use traditional stills shooting. 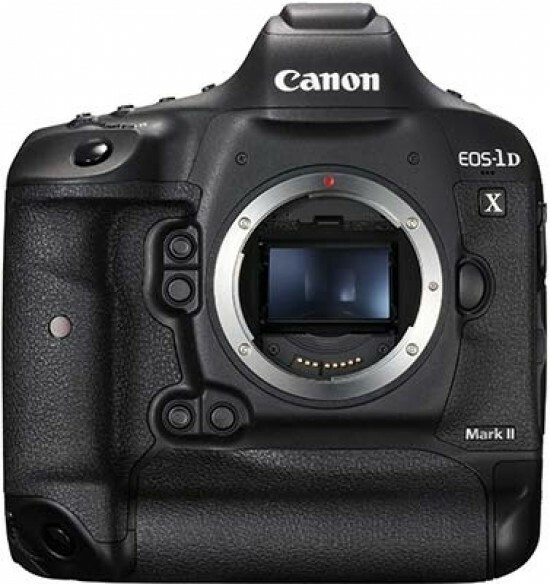 The Canon EOS 1D X Mark II uses an optical viewfinder, the Intelligent Viewfinder II which is also found in the 7D Mark II. It offers 100% frame coverage. It is large, bright and clear and gives an excellent view of the scene - glasses wearers should also find that this is a good viewfinder. AF points are superimposed on the viewfinder display, and you will also see at the bottom of the display some key settings including ISO, shutter speed and aperture. Just like the Nikon D5, there’s no in-built Wi-Fi for the 1DX Mark II. This continues to be a disappointment for photographers who would find this incredibly useful, such as sports and news photographers who need to file images from the field. You can buy an optional wireless transmitter, and it has been suggested in the past that the construction of high-end cameras such as this prevents an inbuilt Wi-Fi chip from working. That said, having to fork out an extra few hundred pounds for an add-on is worth thinking about for anybody is thinking of buying one of these cameras. Hopefully engineers will think of a solution to this problem in the not too distant future. On the plus side, the USB socket as been upgraded to SuperSpeed USB 3.0, so you can transfer images across to a computer or hard drive at much quicker speeds. Canon has placed a new battery inside the EOS 1DX II, which gives it a modest upgrade in life from 1120 to 1210 shots. That’s a great battery life for enthusiast photographers, but if you’re a professional, it’s a little less impressive. The good news is that although the battery is new, it is compatible with the battery in the 1DX, which is helpful if you are upgrading and already have a set of spare batteries - but with a caveat, you won’t be able to use the top 14/16fps frame rate with one of the older batteries. If the battery life dips below 50% on a new type battery, you also won’t be able to access the full buffer. It’s also worth remembering that the D5 uses a battery which offers 3,780 shots per charge - in short, you’re probably going to need a spare battery if you’re shooting a wedding, or news and sports event. Autofocusing is very swift in a wide range of different conditions, including lower light. It doesn’t seem to matter which lens is attached to it, but if you are using professional “L” lenses then you should find that focusing is near instant in good light, taking a touch longer in low light conditions. The sensitivity has been increased to -3EV, compared with the -2EV of the 1DX, which makes it more responsive in darker conditions. 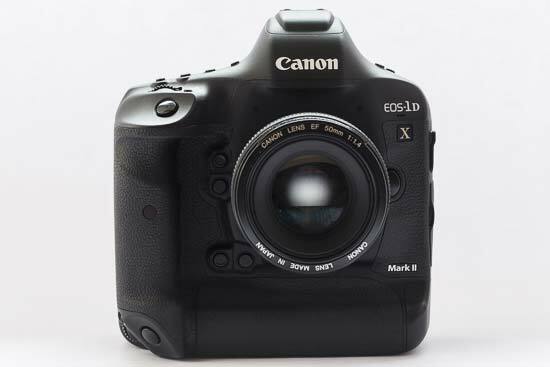 Further good news is that all 61 of the Canon EOS 1D X Mark II's AF points can focus at f/8, which is useful for wildlife photographers who are using long lenses and/or extenders - the 1DX only had this capability at its central points and the few points surrounding it. A false confirmation of focus is incredibly rare. Shot to shot times are super quick, thanks to the improved buffer, while start-up time is near instant and there’s virtually no shutter lag.